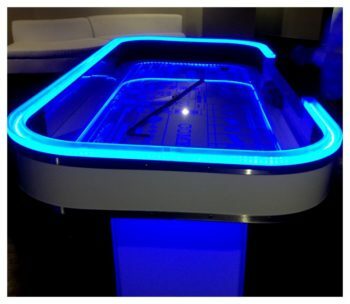 Introducing LED South Beach – frosted acrylic – Casino Tables! LED Casino Tables! 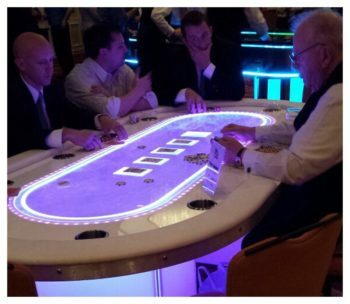 Playing Blackjack, Texas Hold’Em, Roulette, or Craps will never be the same! 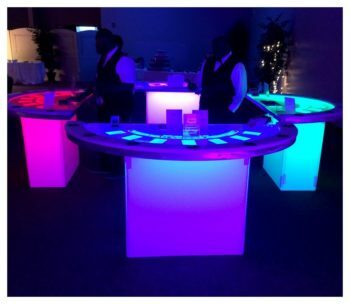 The ambiance of our LED South Beach Tables create a magical experience that will elevate your party and guarantee a fun time for all. 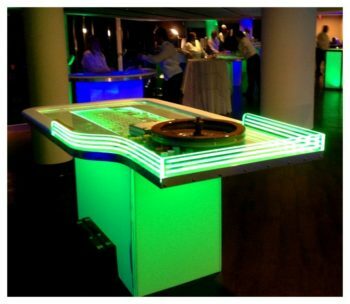 The LED South Beach Casino Tables have built in light system which constantly changes colors throughout the entire table. The tables have white bumper rails that complement the colors in each table illuminating the space. South Beach Tables are sure to create a memorable impression for your guests! Schedule your event now using Fantasy World’s LED South Beach Tables!